Arctic Thunder (Microsoft Xbox, 2001) GAME, CASE AND MANUAL. FULL GAME ! Arctic Thunder (Microsoft Xbox, 2001) w Case Manual Regcard Very Nice! Arctic Thunder (Microsoft Xbox, 2001) COMPLETE Tested & Cleaned! 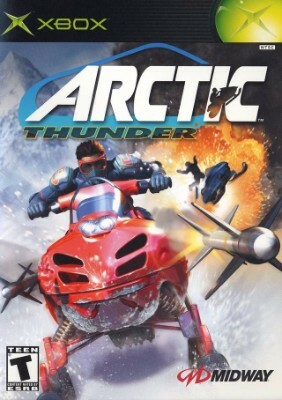 Arctic Thunder (Microsoft Xbox, 2001) MINT COMPLETE! MAIL IT TOMORROW!